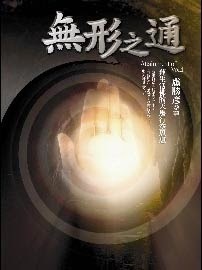 << Selectively Translated into English by Lama Lotuschef. This article by GM Lu is pretty similar to the series of [Who Am I?] in this blogspot! I want to change to [One]. I want to transform to [Zero]. Buddha asked Revata: What did you realised. Replied: I see this world, All human bodies, are corpse of parents. Not self exist. Upon seeing his Enlightenment, Buddha bestowed name to him as [False combination]. Buddha’s perception: All Human born to this world are in forms of 4 great false combination. The Human body consists of 4 great, namely Earth Water Fire Wind. Great Earth is skin flesh vein bone. Great water is mucus hormone blood, excrement. Great Fire is the body temperature. Great wind is the movement of 4 limbs and breathing. Void Self Equivalent to Universal Void. My naked eyes view all sentient materials/matters, none of them is Me, all sentient materials and matters are Impermanence’s transformation or changes, truly does not have any! When I am in [Sitting to Forget], Lu Sheng Yan does not exist, likewise past, present, future. Pertaining to [Lu Sheng Yan], is not [Lu Sheng Yan], is [Lu Sheng Yan]. The 4 great false combination, if you can recall from GM Lu’s speeches, they are what GM Lu practices daily in preparation of Death. It is also how he rid himself of Black magic!